Developing or deploying applications over cloud infrastructure made life easy for the professionals. 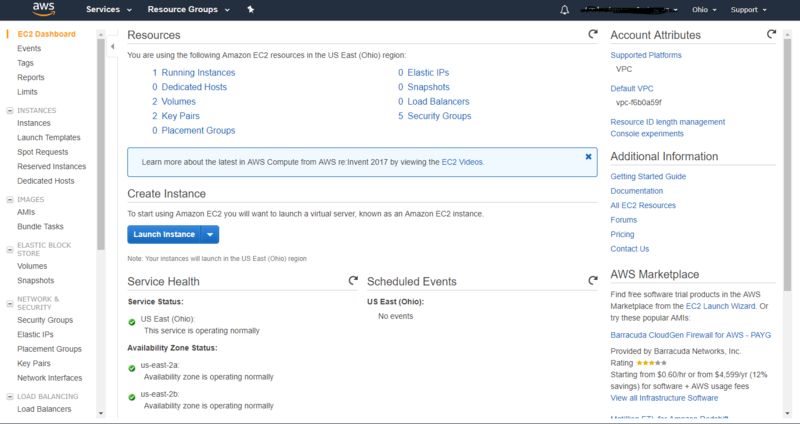 Amazon public cloud offers computing solution named as EC2 which is easy to deploy with the options to select from a pool of operating systems. Amazon cloud services are offered in a wide variety of price ranges from low to high. On top of that one could try their Free Tier services for a whole year for free and it’s a huge opportunity for developers as they got plenty of time to develop, debug their applications on the cloud totally free. 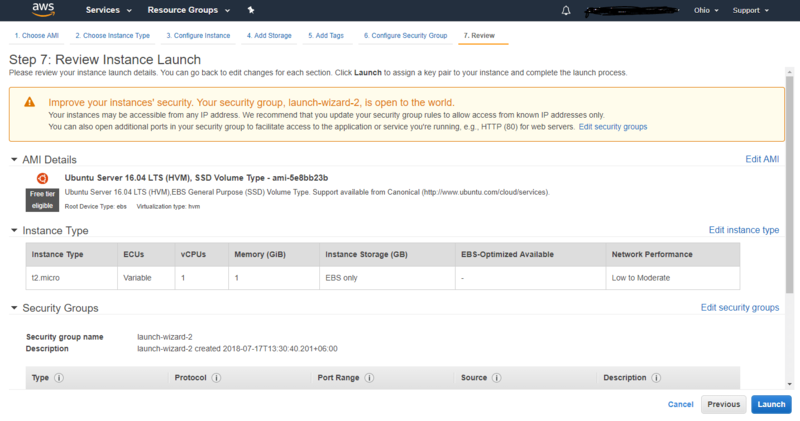 This tutorial will demonstrate how to create Ubuntu Linux EC2 instance on Amazon cloud. If you don’t have an AWS account please create one (Create an account). 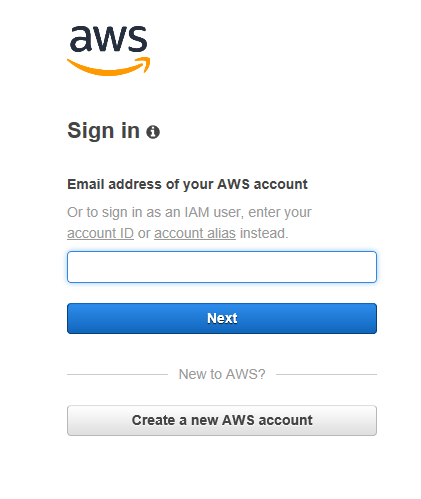 Login to your AWS console( Go to https://aws.amazon.com/console/ then click “Sign In to the Console”). 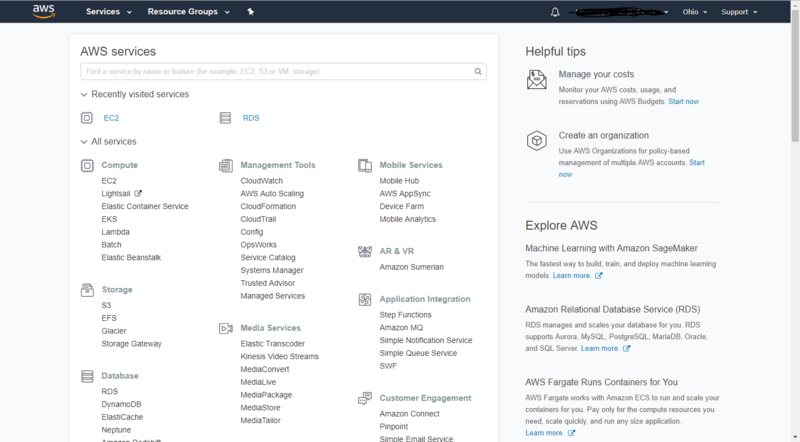 After the successful login you will be presented to the AWS Services page. 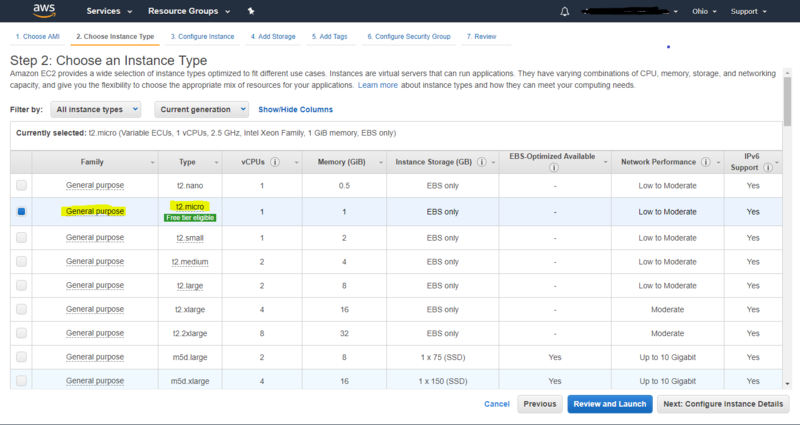 Select EC2 under the Compute, will redirect you to the EC2 Dashboard. Select “Launch Instance” under the Create Instance will load a new page where you will create the EC2 instance step by step. 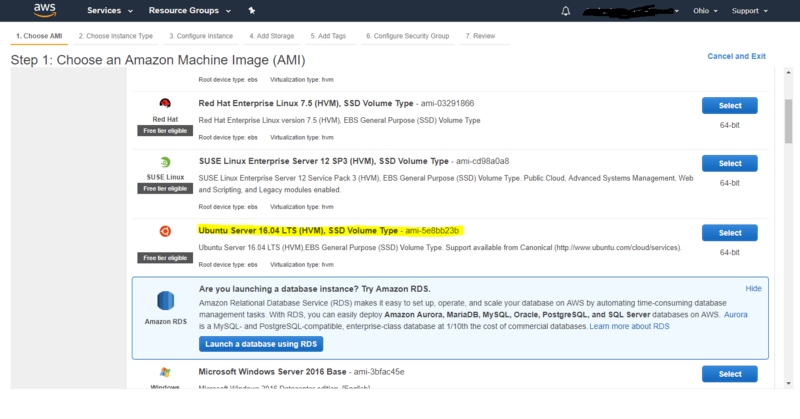 Step 1: Choose an Amazon Machine Image (AMI): Here you will choose the intended Operating System(OS) you want your EC2 will run. In this case we will select the Ubuntu Linux 16.04 LTS, version which is currently offered by the Amazon. Step 2: Choose an Instance Type: This is very much dependent on the type of work your instance will perform, the need of resources your application or service will demand. Choose that best fit your scenario but for this demonstration we will select the t2.micro instance which is eligible for Free Tier usage. Step 3: Configure Instance Details: Here you provide your instance details like how many instance you want to launch, Network, Subnet, etc. We will choose the defaults and will continue to the next step. Step 4: Add Storage: Here storage should be configured for the new instance. As a default Root volume is added with a 8GB of space. You can add additional storage, to do this select “Add New Volume” and provide the size and others if needed. For the free tier an instance can use a maximum of 30GB space, when go beyond will incur charge. 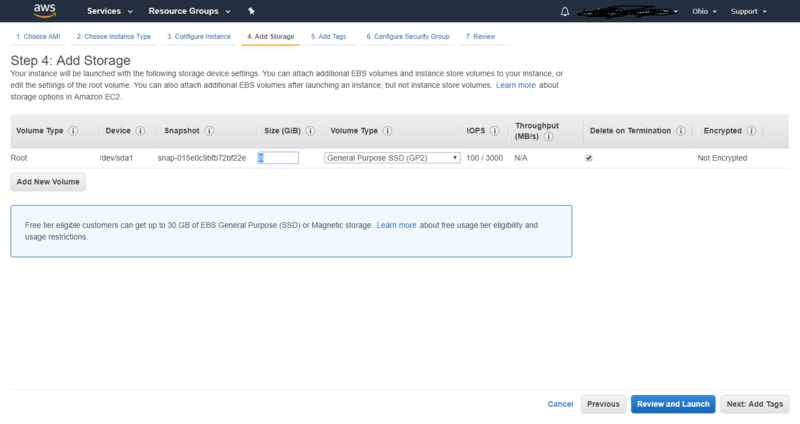 Step 5: Add Tags: It will help you easily administer the instances you have configured in EC2. Provide as you like; may be Test-Server as Key and Web Development as Value. Step 6: Configure Security Group: It is where you set your security policy, should you allow your instance to every individual from any corner of the globe or restrict access to some individuals. We will leave it to defaults, which is allow the instance be available via SSH over TCP/IP protocol and accessible by all with proper credentials provided. Based on your application need you might need to add additional role to your instance. Step 7: Review Instance Launch: Review the instance configuration and Launch the instance. You can make any change by Previous and came here to Launch the instance. 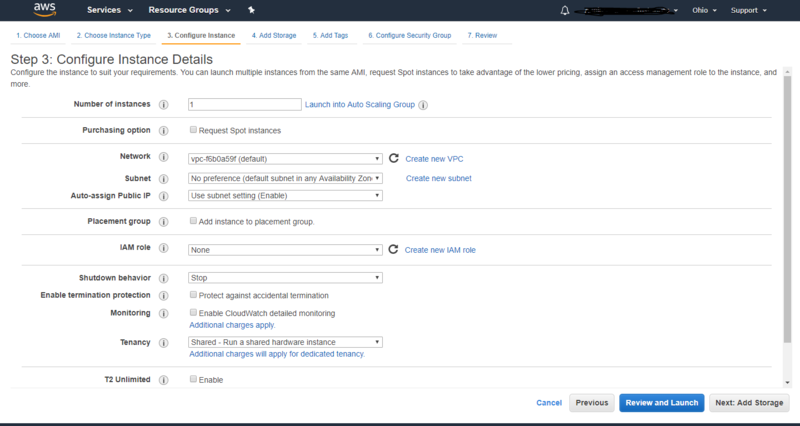 Upon selecting Launch AWS will prompt you to create or choose a Key Pair that will be used to access your EC2 instance. 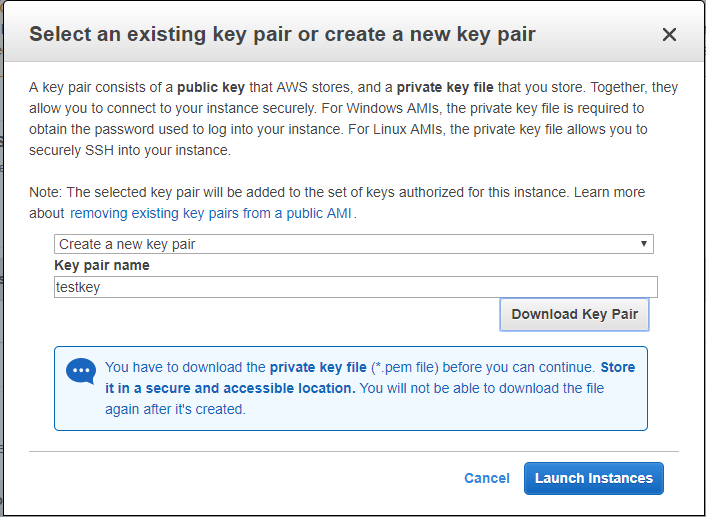 As you are creating an instance for the first time choose Create a new key pair, provide Key Pair Name and Download Key Pair. Finally select Launch Instances. Launch Status will be shown to you. Select View Instances will land you to the Instances page where all of your available instances will be listed. Your new instance Status Checks will be Initializing and Instance State should be running.